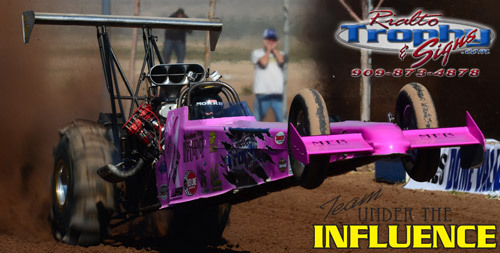 The Rialto Trophy/UTI team is led by Rialto Trophy’s proprietors Todd & Trisha Kinney from San Bernadino, CA. 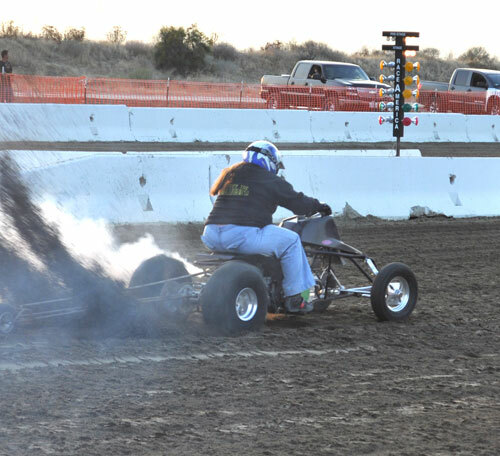 Todd grew up around the sport of sand drags and has realized his dream becoming the owner of a Top Fuel Sand Dragster. After setting Jeep records with his 103” wheelbase center-seat Jeep sporting a screw-blown Big Block Chevy, Todd & Trisha purchased the ex-“Spooky II” Top Fueler from Shane Switzer. 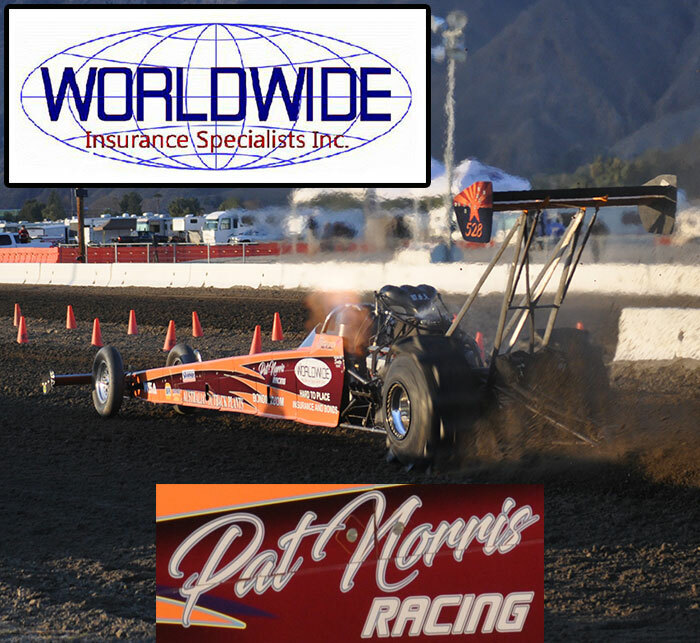 They debuted the ride late in 2013 with Billy Morris piloting the Dragster as the team got its feet wet in the Nitro world. The Kinney’s have seen their Dragster run a best ET of 2.35 seconds and 152 MPH so far. Todd is expected to get his license and drive the Team UTI Fueler in the future. Racing is a family affair for the Kinney’s. 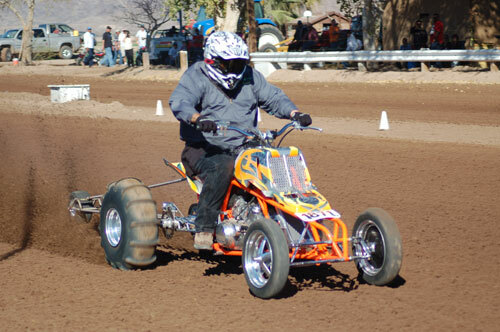 Todd’s wife Trisha has raced in the Motorcycle classes while their daughter Katrina competes in the Junior class. Todd’s brothers Chad and Scott are also big parts of Team UTI. Chad competes in the Pro Bracket classes with his Jeep while Scott is an important part of the crew for the Top Fuel program. The Kinney’s and their friends comprise Team Under The Influence. Rialto Trophy is a full service Trophy, Awards, Sign, Banner, and Print shop. Todd has the capabilities to take care of any needs that are remotely close to the categories I just mentioned. 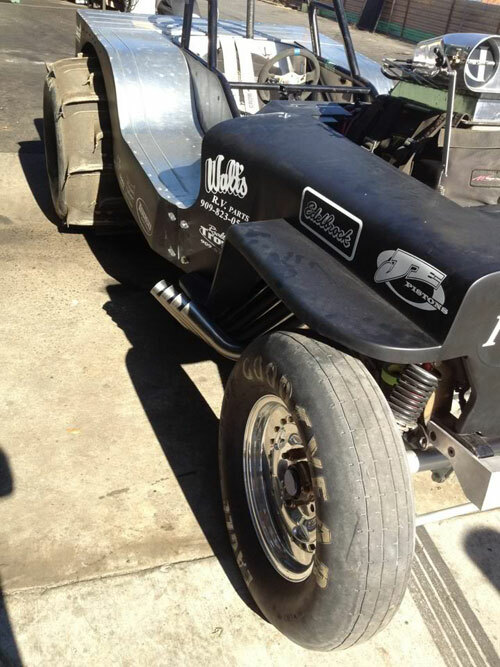 His shop in Rialto, CA is well equipped to take on any project you may have. For more info on Rialto Trophy call 909-873-4878 or visit their site at www.RialtoTrophy.com. Team Members: Todd Kinney, Trisha Kinney, Katrina Kinney, Soon to be Racing Kaydee Kinney, Chad Kinney, Nicole Kinney, Scott Kinney, Linda Kinney, John Parthamore, Bill “Wild Willie Swim, Joey Weaver, AJ “Donkey” Eid, Brian “Short Fuse” Chapman, & Larry “Mr. Excitement” Brown. Crew: Chad Kinney, Scott Kinney, John Parthamore, Brian Chapman. Sponsors: Rialto Trophy, Walt’s RV Supplies, Edelbrock, Mike’s Transmission, Performance Promotional Products, LK Fabrication & Powdercoating, Inland ATV, Fontana Radiator, All Custom Embroidery, Torco Race Fuels, House of Quality, K&N Engineering. 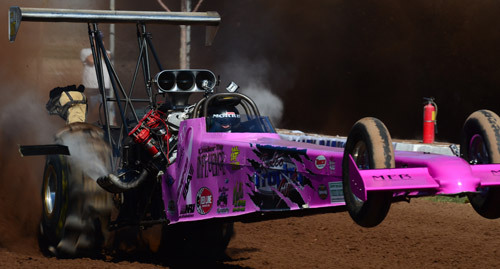 The Team UTI/Rialto Trophy Top Fueler with a great wheels up charge at the 5th Annual Dome Valley Top Fuel Shootout. 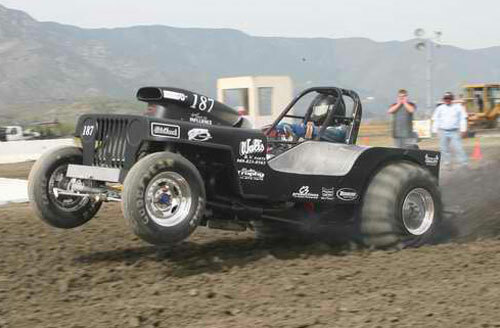 Todd behind the wheel of Team UTI's record setting Blown Alcohol Jeep. 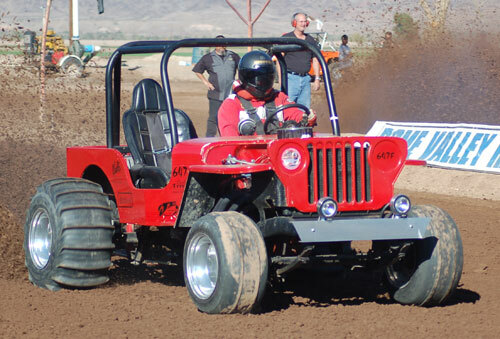 This Jeep recorded a best ET of 2.96 seconds. Todd's Jeep with the new screw-blown 540" BBC powerplant for the 2012 season. The new motor sitting in Todd's Jeep and ready for the first test session of the season. 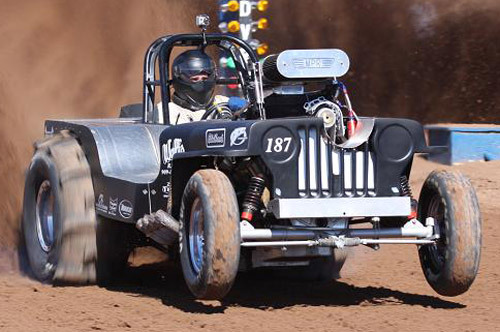 Todd's Jeep with the previous Nitrous-assisted motor ran a Best ET of 3.51. Todd's wife Trisha with a nice launch on her ATV. 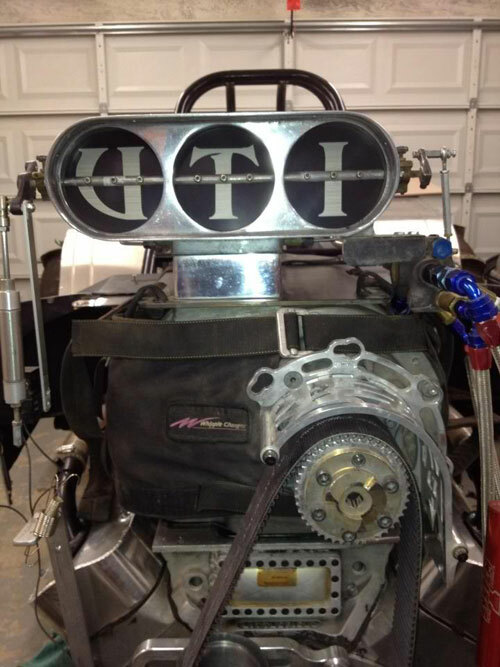 Chad Kinney's Team UTI Jeep is looking for big things in 2012 with a new Small Block Chevy powerplant. Scott Kinney is always very competitive in the Motorcycle Pro bracket classes.